Good afternoon everyone! 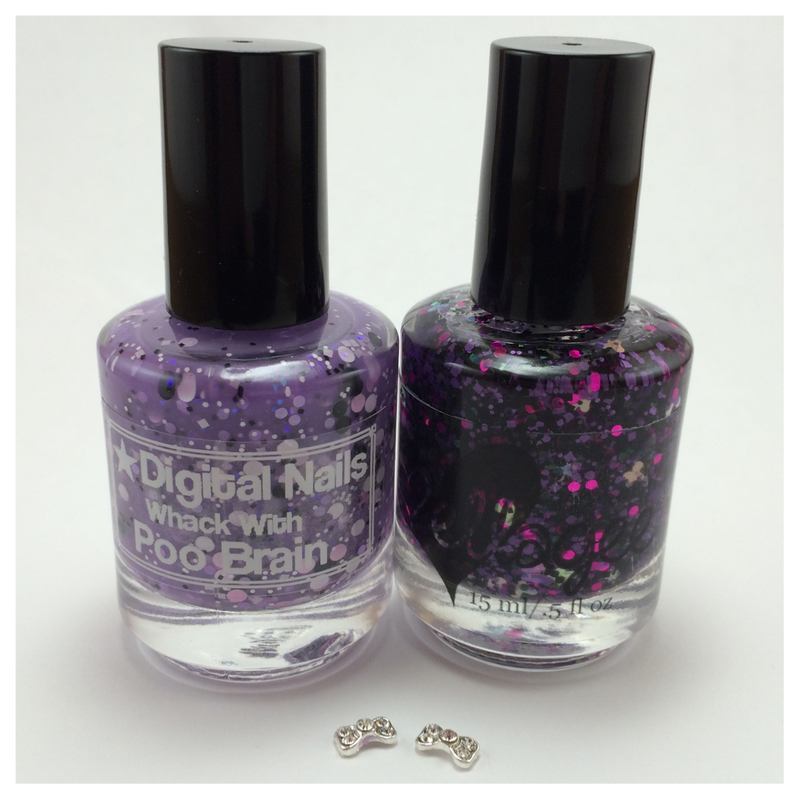 Today I have a lovely duo to share with you guys from Digital Nails and ellagee. This duo is name Fi-Bros for Life and is to help raise awareness about fibromyalgia, something both makers suffer from. 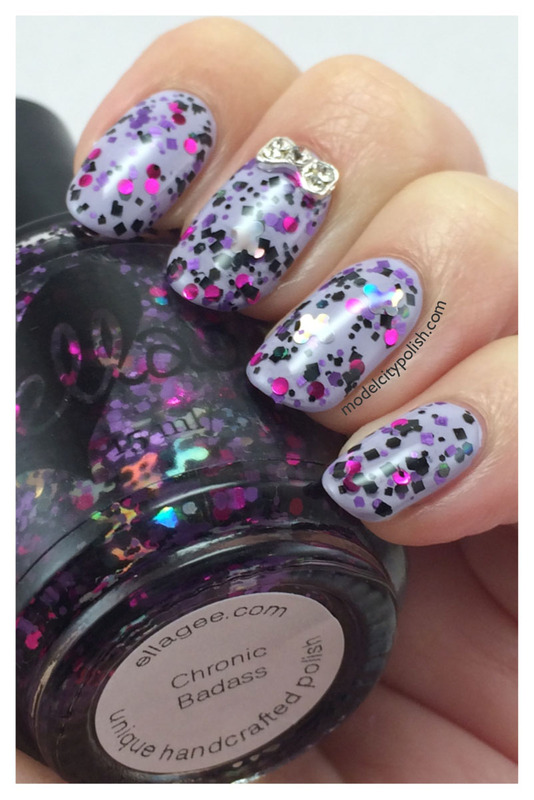 These blends both play well with each other beautiful and is just simply a wonderful duo. I will share the inspiration from both makers in this dynamic duo and more info on where to buy. 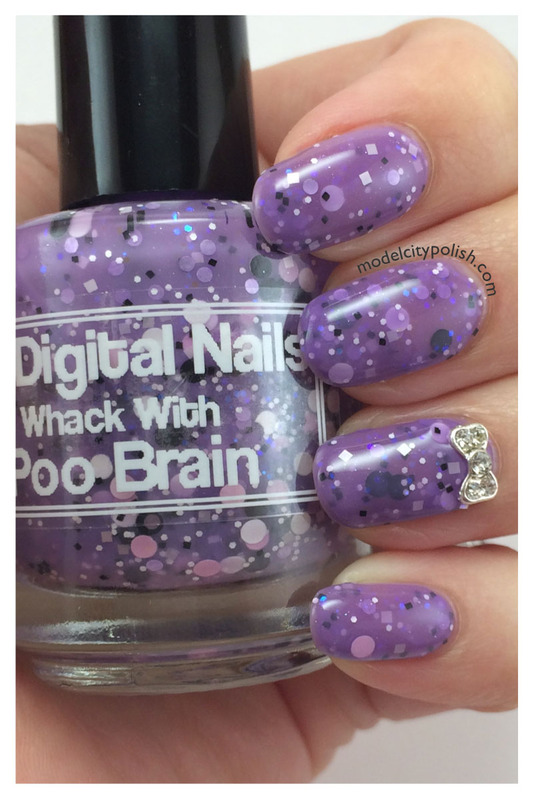 First up we have Whack With Poo Brains. 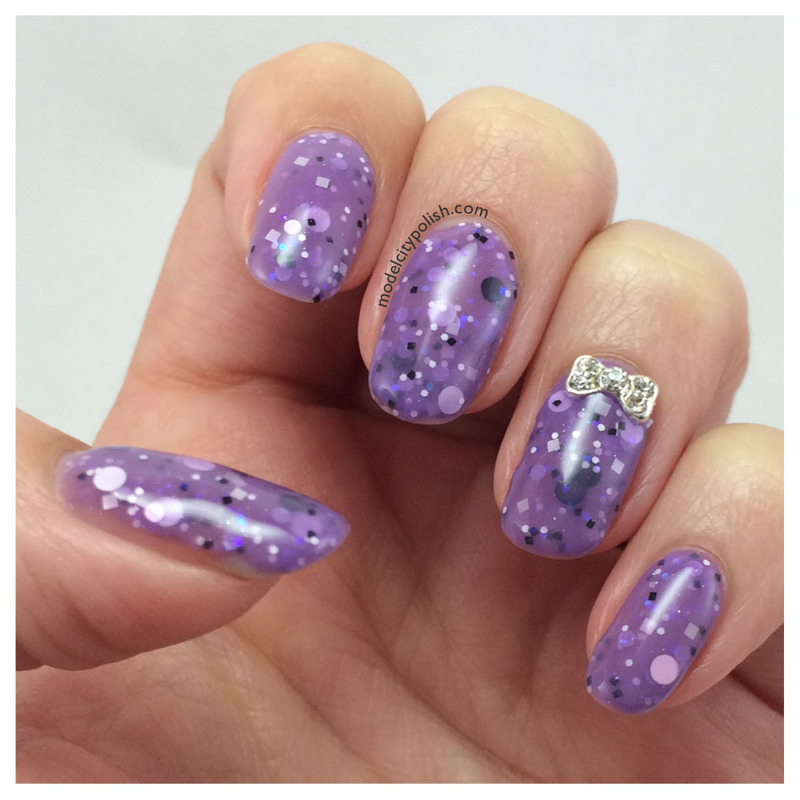 From Raphaelle at Digital Nails: “It’s no secret that I am a huge Adventure Time fan. In one episode, Finn and Jake are confronted with a goofy horse staring creepily into their bedroom in the middle of the night while they are trying to sleep. In dealing with the unsettling stare from this silly horse, Jake declares it whack, and blames it on poo brain. One of the most personally debilitating symptoms of Fibromyalgia is what is called “Fibro Fog”, or what I now lovingly refer to as Poo Brain. I feel like my thoughts are wading through quicksand! I can identify with this adorable and ridiculous horse sometimes, and I took my inspiration directly from him. 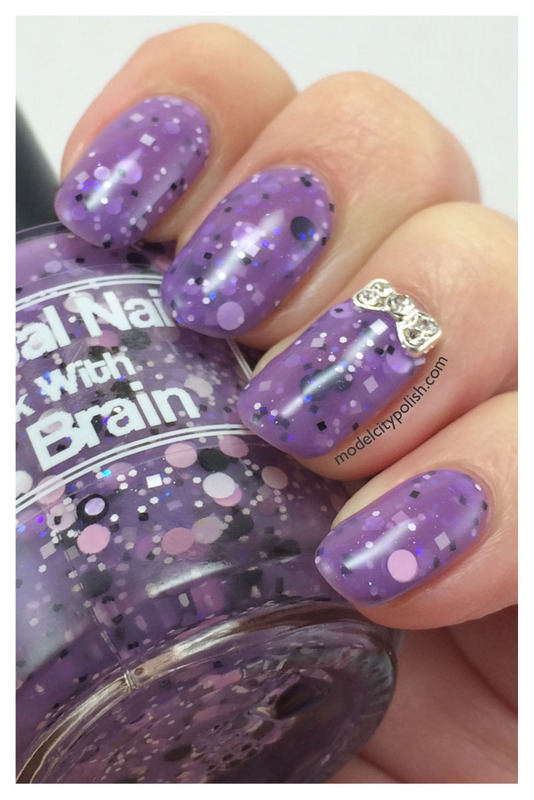 Whack With Poo Brain is a pastel purple jelly with a mix of white, black, lavender and pink circle glitters, and a touch of iridescent blue to purple shift microglitters to give it additional depth.” Whack With Poo Brains is amazing! 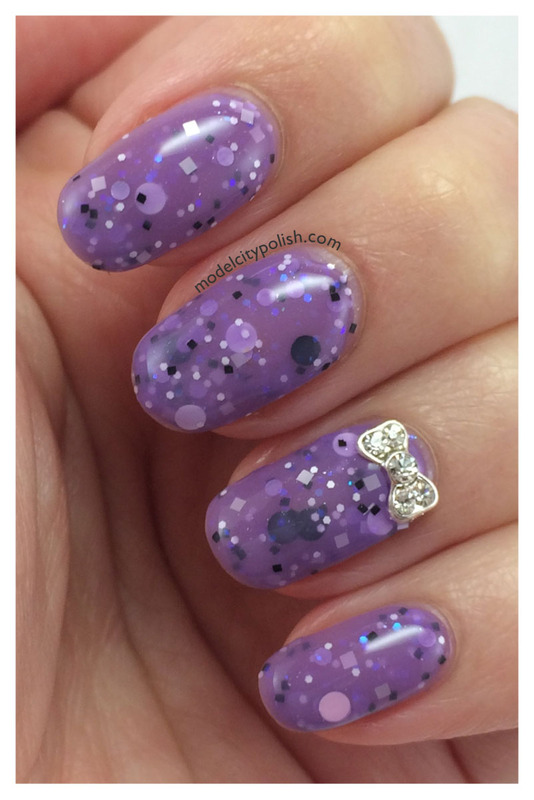 The polish builds beautifully and the glitter distribution is perfect. In my photos I am wearing three coats of Whack With Poo Brains and one coat of Gelous. Next up is Chronic Badass. From Laura at ellagee: “Having fibromyalgia is quite a challenge physically, and one that many don’t understand because it’s not visible from the outside. The pain, weakness and exhaustion can make it difficult to get around the house, much less go out and do normal things. But it makes small things take on new significance too. Some days completing simple tasks feels like I’ve made it to the top of a mountain and I probably would have never started my own business if I hadn’t been so restricted by this condition. 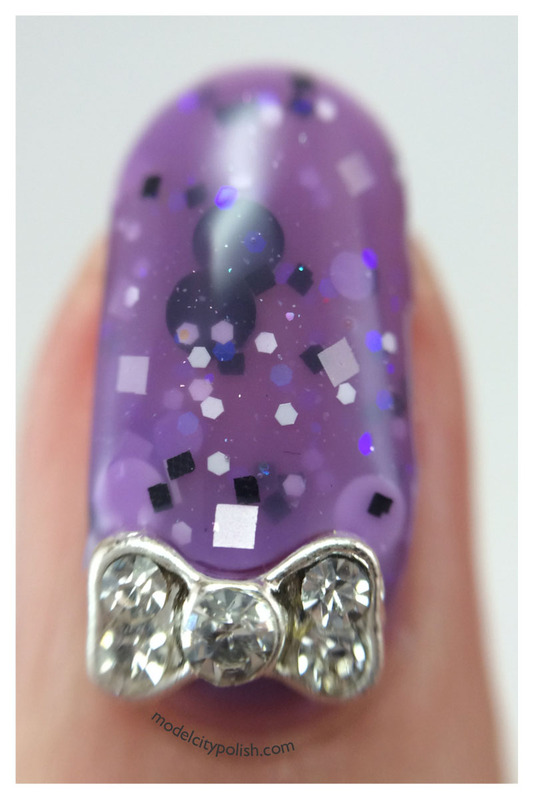 The determination to keep on rolling and do the best I can with what I have in spite of feeling as fragile as a butterfly inspired this polish. 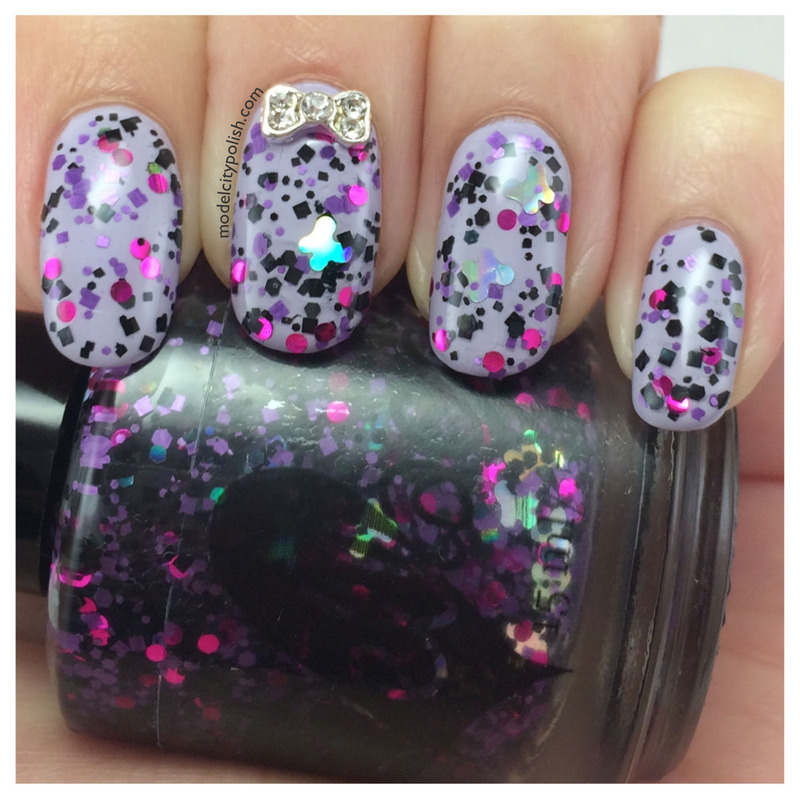 Chronic Badass is a clear base with black matte and holo glitter, black holo stars, silver holo butterflies and purple butterflies. 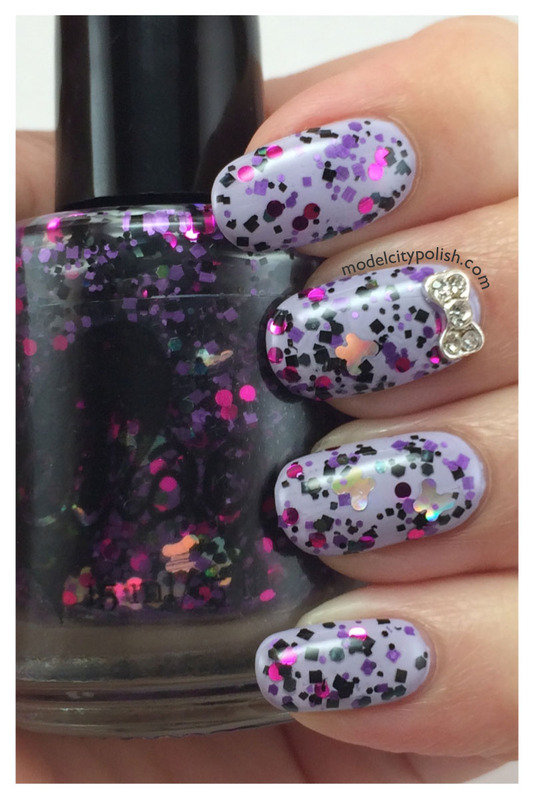 Tough but fragile.” I think this polish is spot on for her vision. 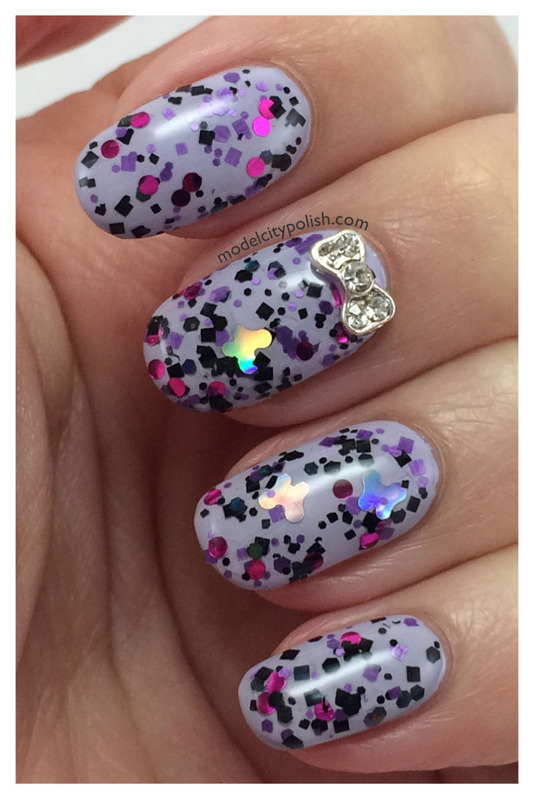 I didn’t have any issues with the butterflies and everything distributed beautifully on the nail. 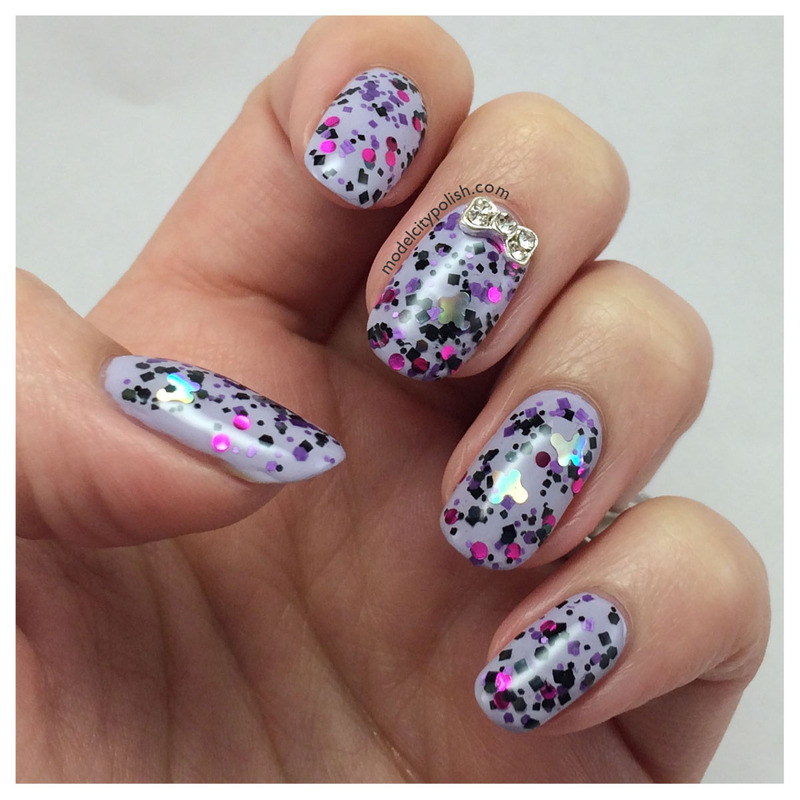 In my photos I am wearing just one coat over Julep Renee and one coat of Gelous. These were sent to me for review/photo purposes but does not influence my review. I adore the color combinations they chose. It’s also a great cause to bring attention to.